Lol she is going to a human convention and doesn't want anyone to know it's her. 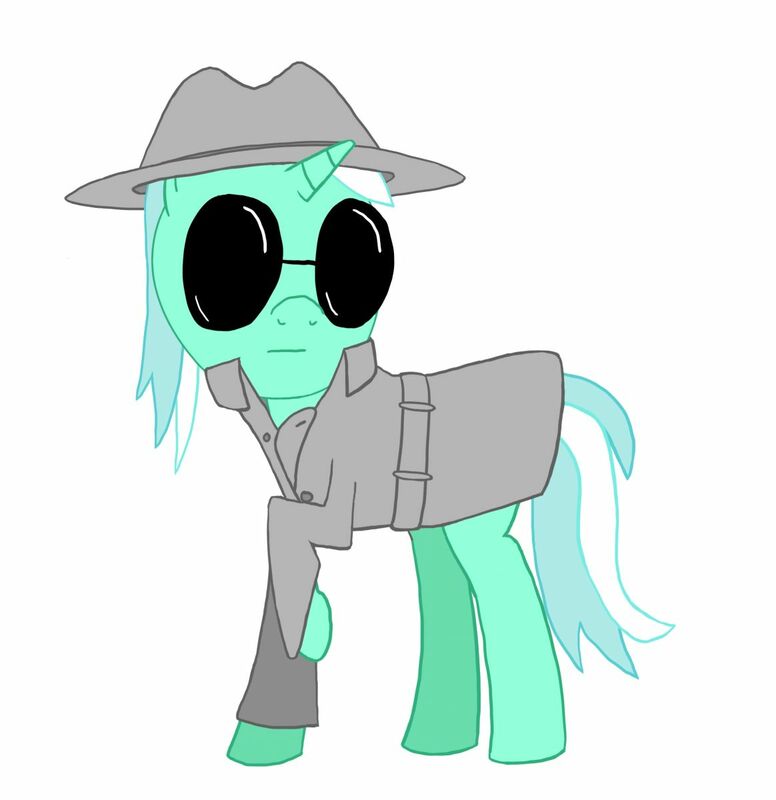 Who is that strange pony? No, I don't think I've ever seen her before, thats just crazy talk. I just realised... with a slightly different hat, she could be inspector gadget. I wonder if that crossover has been done yet.